Hazrat Maulana Tariq Jameel Damat Barakatuhum short advice to all Muslims about the income they earn. He told about the blessings of ALLAH to the people who worries to earn Halal for their families. Maulana Tariq Jameel : Aye Mere Banday..! Kahan Ja Rahe Ho..! 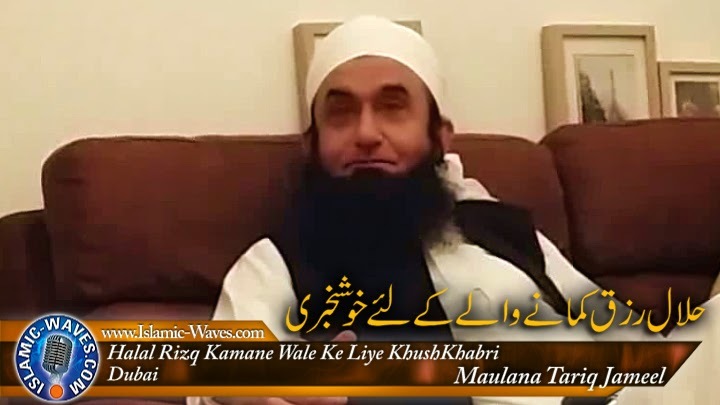 Follow board Maulana Tariq Jameel Videos on Pinterest. www.Islamic-Waves.com reserved the rights. Awesome Inc. theme. Powered by Blogger.